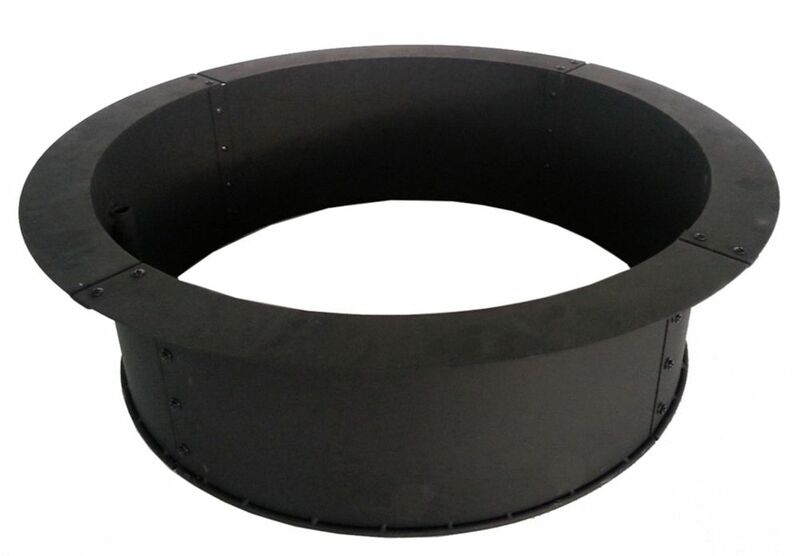 This Solid Steel Fire Ring is an ideal solution to keep your fire contained. Use it as an insert for a brick surround, or on its own. Its classic style will blend into any outdoor background. The large 33.50 inch diameter allows for plenty of firewood to get your party started. This heavy-duty fire ring will last you for years to come. The beautiful and stylish Tabletop Propane Fire Pit is the secret to transforming your ordinary patio set don't worry, we won't tell. Simply mount this little guy through the existing umbrella hole in the tabletop, and voil`! Dining around a blazing flame has never been so easy. This tabletop firebowl is compact and can be easily stored away while not in use. It includes a glass flame shield to protect against heavy winds and natural lava rock, to cover the stainless steel burner. Take your outdoor dining to the next level, with the charming Tabletop Propane Fire Pit. Solid Steel Fire Ring Fire Pit This Solid Steel Fire Ring is an ideal solution to keep your fire contained. Use it as an insert for a brick surround, or on its own. Its classic style will blend into any outdoor background. The large 33.50 inch diameter allows for plenty of firewood to get your party started. This heavy-duty fire ring will last you for years to come. Solid Steel Fire Ring Fire Pit is rated 4.5 out of 5 by 100. Rated 5 out of 5 by Scott from Very high quality and easy to assemble!!... Very high quality and easy to assemble!! Rated 5 out of 5 by Bwub from While I haven't owned it long enough to see if it stands the test of time, it is a thick gauge an... While I haven't owned it long enough to see if it stands the test of time, it is a thick gauge and assembled easily. Rated 5 out of 5 by Jennifer from Easy to assemble and looks great in our fire pit!... Easy to assemble and looks great in our fire pit! Rated 4 out of 5 by Brett from It was ok kinda small I had to take... It was ok kinda small I had to take one block concrete out and look better thanks .. Rated 4 out of 5 by Cirkusmouse from This product seems to be well constructed and although I haven't had it long I am confident it wi... This product seems to be well constructed and although I haven't had it long I am confident it will meet my expectations. The problem I have is that none of the hardware was included in the packing. Not a big deal as I had screws and wrench available but an oversight that should be corrected. Besides that I am happy with my purchase. Delivery was prompt and right to the front door.